You don't need to be a programmer to create your site. Designing a great WordPress website doesn't have to be an arduous process. 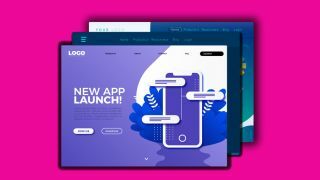 Even with no prior programming experience or training under your belt, you can design a fantastic website with Storeshock WordPress Themes & Elements: Lifetime Subscription. This tool streamlines the process of creating your own website, thanks to a huge selection of WordPress themes, templates, plugins, and web elements. The drag-and-drop page builder makes the whole process so intuitive that you'll be surprised what amazing visuals you can create. For just $59, you can download more than $50,000 worth of products. Now that's what we'd call a steal. Get Storeshock WordPress Themes & Elements: Lifetime Subscription for just $59. Want your products featured in Creative Bloq? Learn more about how to sell your products online!